Festival season is upon us! Music, friends, wellies and light refreshments in plastic cups! Scotland hosts a variety of yearly festivals, set in spectacular scenery, what a magical way to enjoy the great outdoors. 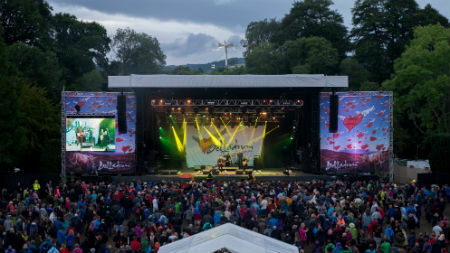 Belladrum Tartan Heart is quite simply, the friendliest, wackiest, most inclusive festival in Scotland. Homegrown in the Highlands - Scotland's best festival of music and performing arts for all ages. Here is a look at last years highlights - enjoy! Why not extend your stay with an overnight at Loch Ness, dinner with spectacular loch views or even pick up a Scottish souvenir at our Nessie Shop.